Former National Security Advisor, Mowaffak al-Rubaie, who witnessed the hanging of Saddam Hussein revealed that the former Iraqi president was calm until the final moments of death and did not even show his regrets. 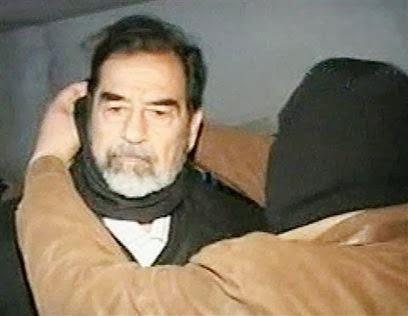 According to Mowaffak, in contrast to other individuals who are afraid to face death, Saddam did not appeal to have his sentence revoked or even ask God's forgiveness. At the time (of his execution) , Mowaffak greeted him at the entrance and said he was wearing a jacket and a white T-shirt. He was calm and did not seem afraid. Saddam ruled Iraq for more than two decades and was sentenced to hang after being convicted of crimes against humanity in the killing of 148 villagers in Dujail. Mowaffak said Saddam was then handcuffed and that he was holding a copy of the Quran. He was taken to a room where the judge read the crimes Saddam had committed. He replied, 'Go to hell America!' Go to hell Israel! ','Live Palestine! 'And "Death to the Persian Zoroastrians!" He was then taken to the place of punishment. Saddam looked at the noose and the platform and said, 'This is for people who are brave enough." Before being hung, Saddam shouted, 'Long live Imam Mohammed Baqr al-Sadr! "And managed to take shahada. Mowaffak revealed that the first time the lever was pulled the platform at the foot feet of Saddam did not open, and the platform then opened when an unknown person lowering pulled the lever. The death sentence for Saddam was decided in a video conference between the Prime Minister of Iraq, Nouri al-Maliki and President of the United States (U.S.) at that time, George W.Bush. "What do we need to do to the guy (Saddam)?" Bush asked? "We hang him," said Maliki who was then greeted with a 'thumbs up' by Bush.